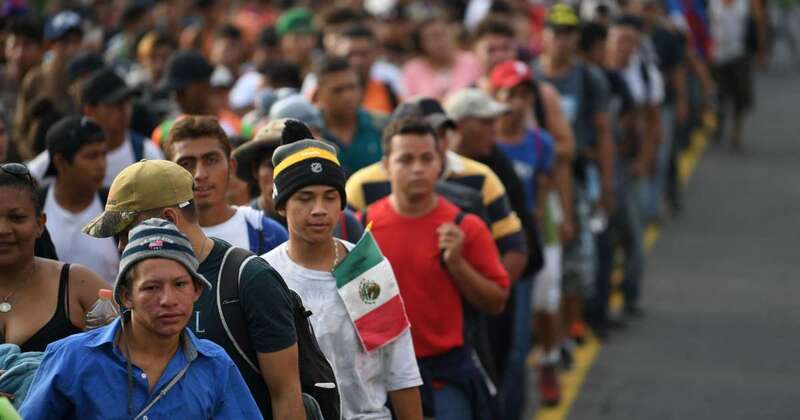 Under a hot sun with temperatures hovering around 90 degrees, thousands of migrants on Monday set out in a long column snaking through this city as local residents stood on the sidewalk and filmed with their smartphones the controversial caravan that has angered President Donald Trump. The sheer number of migrants is growing, with UN officials saying it may be as high as 7,000, up from estimates of 4,000 over the weekend. For many migrants, the stop here in this city of 300,000 people is only temporary because they are focused on getting to the U.S., even though McAllen, the nearest U.S. border town, is more than 1,100 miles away.